Our work in supporting nuclear power is second to none and our leadership's participation in the establishment of the environmental justice movement is significant. We work to keep threatened nuclear power plants open. We educate about how nuclear power is a pro-environmental justice technology. Our story is incorporated in our work to gain approval for emission free sources of electricity generation. Our latest report, Nuclear Power and Environmental Justice in California illustrates the nuclear power situation in microcosm. We work to support the construction of new nuclear power plants. We also work to keep nuclear power plants open. It is estimated that up to 15 nuclear plants could close within the next five years and 50 of the current 100 plants could close within the next 15 years. In our opinion, this is a not only a global warming and climate change issue, but is also a national security issue. We will work to keep viable nuclear plants open. Instead of closing 50 plants over the next 15 years, we should be constructing 50 new plants. We worked to keep Hope Creek and Salem nuclear power plants open in New Jersey. We presented testimony in support of these plants in December 2017 and in February 2018. We support strategies to prevent the premature retirement of nuclear power plants. These existing, licensed, and operating nuclear power plants are an invaluable asset in mitigating air pollution in New Jersey. States are in nonattainment for ozone, which is a component of smog, and negatively affects the health of their residents. We want to reopen San Onofre Nuclear Generating Station (SONGS) and keep Diablo Canyon Nuclear Plant open. The California regulatory apparatus is currently under a cloud and it is difficult to influence the decision making body under these conditions. As other nuclear plants announce retirement plans due to current market conditions, we will immediately engage in activities to keep them open. Illinois passed legislation to keep Clinton and Quad Cities nuclear plants open. We oppose company plans to close because we desperately value their product. We understand that any business that is hemorrhaging money will want to cut their losses, so we have to figure out ways to make them profitable. Their clean air, climate change and global warming mitigation properties are simply too important to allow them to close. 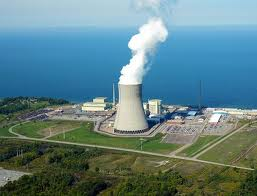 New York passed legislation to keep Fitzpatrick, Ginna and Nine Mile Point nuclear plants open. The Zero Emission Credits (ZEC) Program is a model for the rest of the nation in rescuing our valuable nuclear fleet. New York Mayor Andrew Cuomo got it mostly right in promoting supports for the plants in upstate New York. Indian Point nuclear plant should have been included in the legislation. Our organization has worked longer and harder than any other group in supporting nuclear power in New York. We are part of a budding pro-nuclear environmental movement. We believe that 2016 will be remembered as the year when this new movement started. We are proud to join with Environmental Progress, Generation Atomic, Mothers For Nuclear, the Clean Power Coalition and others in protecting the planet and its citizens. From nuclear engineering students to plant employee professionals, this new movement is on a mission. The dual challenges of this mission are to protect the current nuclear assets while promoting the construction of new nuclear power plants. These twin efforts are complemented by promoting the construction of next generation nuclear technology, such as Thorium reactors, including molten salts, and pebble bed modular reactors. 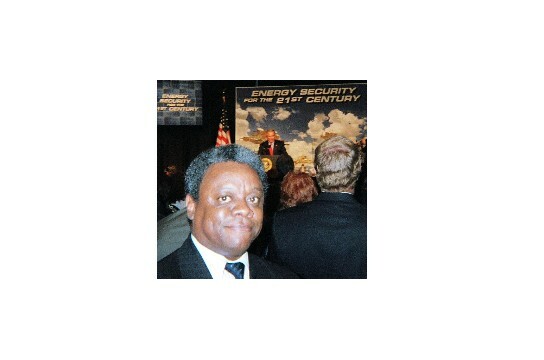 One of our (Center/AAEA) most significant accomplishments was helping to get the Energy Policy Act of 2005 passed.